Blue Sea Marine Uni, Inc. Early in their work, the members of the Commission felt that quality was a key target to direct their focus. The quality of the ocean environment in terms of water and habitat quality certainly is important. 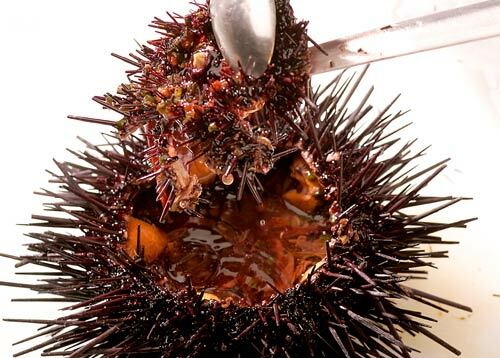 But, the quality of sea urchin products in the marketplace is critical to strengthening the economics and financial rewards for processors and divers alike. To ensure quality uni the Commission established comprehensive “Best Practices” standards for use by divers and processors. When these Best Practices become the industry norm, customers worldwide will know that uni harvested and produced in California will provide a pleasing and unique seafood selection for the public. Furthermore, they will know when they buy from California, they can count on consistent high quality that is true to how it is represented. 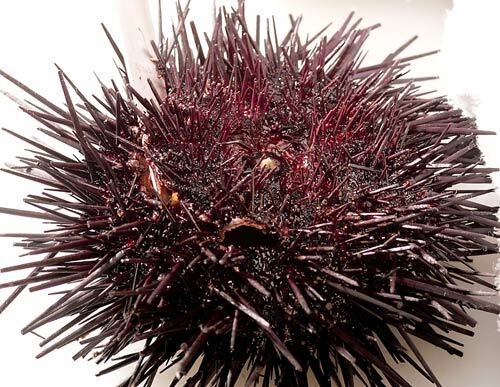 As consumers learn about quality uni and the reliable quality of uni from California, it is anticipated they will prefer California uni to other competing products. To begin the process of improving quality it was necessary to first define what quality uni means. The Commission identified four main attributes of uni that needed to be considered: texture, freshness, color and taste. Texture for quality uni is creamy, firm but light and buttery. Uni freshness entails having a salty, clean ocean scent. The color should have brighter hues of gold, yellow and orange. 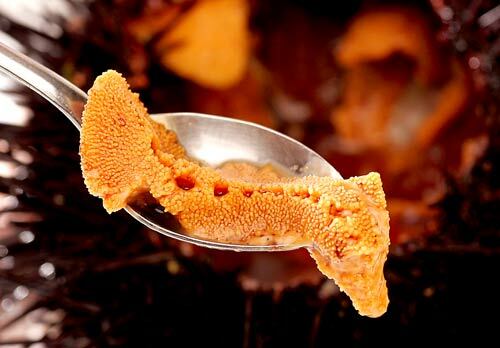 The taste is sweet, crisp and clean for high quality uni. The Commission also adopted the following grade names and standards of quality to encourage uniformity throughout the industry, to help retail and consumer customers make better purchasing decisions, and to give assurance of product quality. With a sharp knife or shears, cut a neat circle out of the shell top. Use a towel or gloves to protect your hands. Remove the cut-out circle (it should be about 3 inches around) from the shell, using the knife and a spoon. Discard the liquid from inside the shell, and using a spoon, remove and discard the black parts. Spoon out the clusters of orange roe from inside the shell, keeping them as whole as possible. 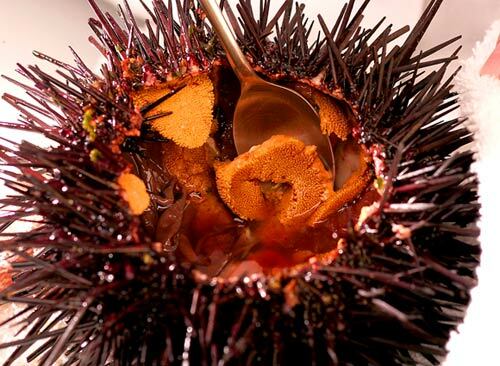 Reserve the clusters of roe and carefully rinse out the inside of the sea urchin shell. 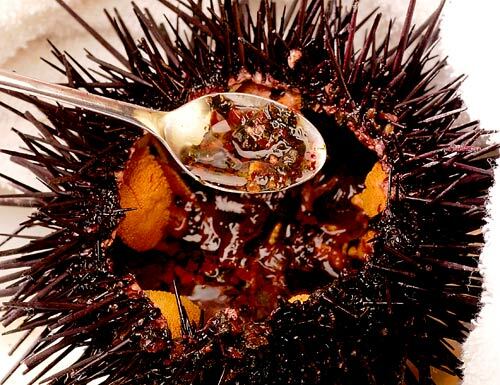 Then, place crushed ice inside the sea urchin shell and arrange the clusters of roe on top of the ice.